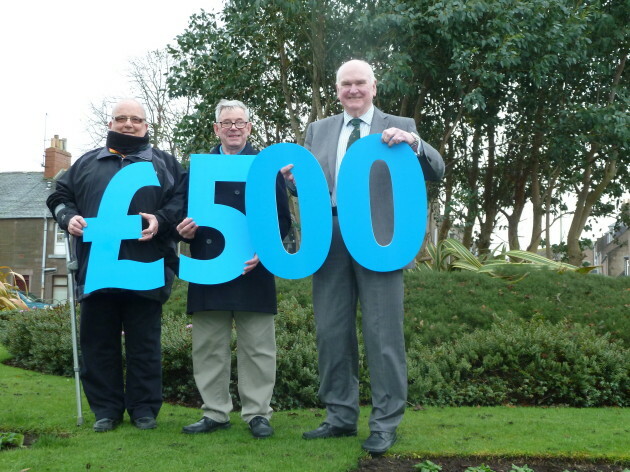 A £500 donation from Scotmid Co-operative had enabled Montrose Community Council to get off to a blossoming start by supporting the purchase of several hundred bedding plants for the town. The Community Council for the Royal Burgh of Montrose, the eyes and ears of the Montrose community, is invested in ensuring the town retains civic pride in items such as floral displays and Christmas lights. The grant from Scotmid’s North Regional Committee is the first donation to the newly reformed group from a local retailer. Scotmid’s North Regional Committee is made up of nine, elected Scotmid members. The committee meets regularly to consider grant applications from community groups, charities and non-profit organisations from Perth to the Northern Isles. Photo shows Ted Smith, Secretary Montrose Community Council; Jim Shaw, Treasurer Montrose Community Council and John Anderson, Chairman of Scotmid North Regional Committee.